My mother gave me the cookbook Charcuterie for my birthday. She knows me so well! The book is mostly recipes, but also contains a chapter on making charcuterie from scratch. I’m in awe of people who make prosciutto and pancetta, but I live in too humid of a region in the U.S. to hang hams in my basement. 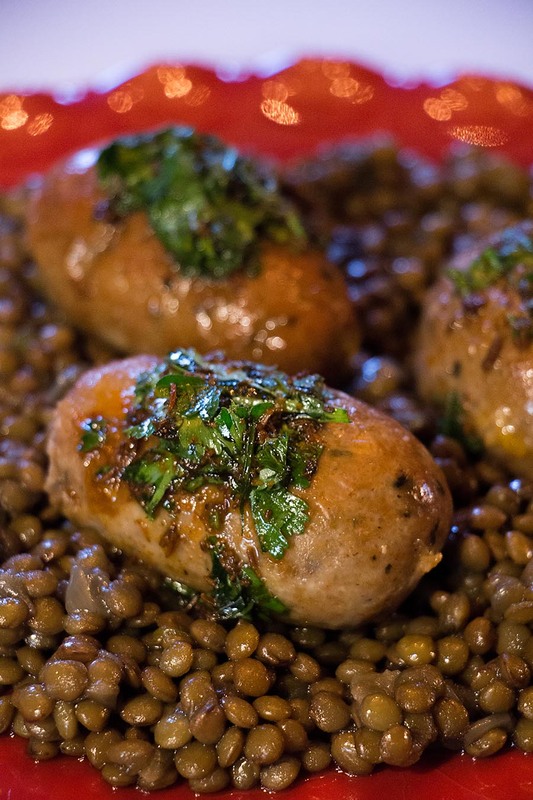 The recipes are wonderful, mostly focusing on Spanish, French, and Italian cured meats. The first recipe that caught my attention was a simple skewer of scallops and chorizo. Simple yet total perfection! If you can’t get your hands on Spanish chorizo, check out my favorite website, La Tienda, for chorizo and all other Spanish foods. If you scroll through chorizo, and you will discover so many different varieties – some for slicing, some for cooking, some for grilling. The recipe in the book just referred to cubes of chorizo, but I got carried away and purchased Ibérico de Bellota Butifarra Sausage because it intrigued me. 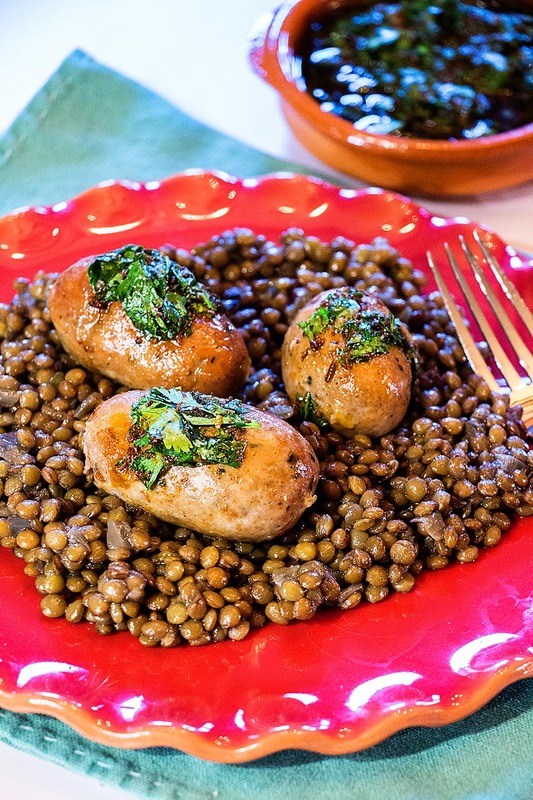 It is sausage made from Iberian pigs, which are supposedly fed acorns as babies. This raw sausage wasn’t quite firm enough to cube, and not red like authentic chorizo, but it was really good! When we were in Spain many years, my husband and I would order both jamon Serrano and Ibérico (similar to Prosciutto) and we could not tell the difference. Maybe they just knew we were Americans and didn’t bother giving us the real stuff, I don’t know! But we gave up after a few tries, and stuck to the fabulous but much less expensive Serrano. In any case, in spite of not having used real chorizo, these scallop and sausage skewers were wonderful. I will paraphrase the recipe from Charcuterie because it’s so simple. Heat a small amount of oil in a cast-iron or other heavy skillet. Brown the cubes or slices of sausage on all sides, then lower the heat and cook thoroughly. Place them on paper towels to drain. Using the same fat from the olive oil and sausage, sear the scallops in the hot oil, then lower the heat to cook through. Place the scallops on paper towels to drain. Let the chorizo and scallops cool, then skewer them together, with the scallop first, followed by the chorizo. Sprinkle on a generous amount of paprika and ground pepper. I used a mixed peppercorn combination. These hors d’oeuvres are best served warm. They could be prepared ahead of time if they were gently re-heated so as not to overcook the scallops and dry out the chorizo or sausage. I will definitely be making these again with real chorizo, but I can really see the scallop pairing with just about any kind of sausage! note: For a handy comparison chart on Spanish vs. Mexican chorizo, check out this website. Short ribs are fatty beef ribs, cut literally into short pieces. They sometimes referred to as flanken style, to differentiate them from spare ribs. When short ribs are braised, the meat becomes soft, tender, and velvet-like. Similar to pulled pork, the tender texture of prepared short ribs is why I love this cut of meat. Plus, you serve the meat with the accompanying red wine-based reduction that is rich and flavorful. Once prepared, these ribs pair perfectly with a potato mash, polenta, or risotto, for an extra-special meal. I chose risotto for my “side,” and decided to make it green using spinach. The combination of short ribs and risotto is a meal you could have at an upscale restaurant, for which you would pay dearly! But short ribs are truly simple to make. Plus, they are relatively inexpensive – not what you’d think from the menu price! Season the meat with the salt and pepper, then toss in the flour in a large bowl. When you’re ready to start cooking, heat some oil in a large Dutch oven over high heat. Brown the ribs on all sides, no more than four at a time. Turn the ribs with tongs and brown all sides. Place the ribs in a large bowl and continue with the remaining short ribs. Add a little more oil if necessary, and make sure to bring the oil to high heat before the browning process. 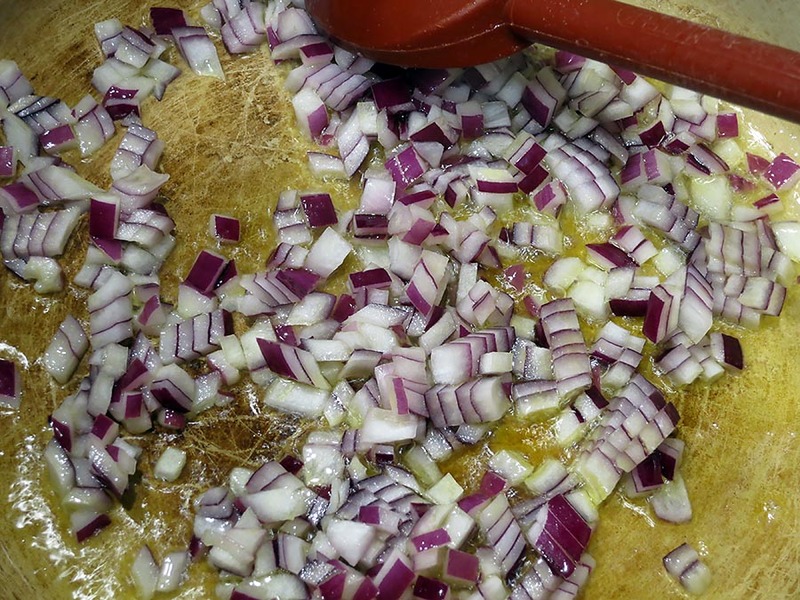 Turn down the heat to medium, and add the chopped onion. Sauté the onion for a few minutes, stirring as necessary. Add the garlic and bay leaves, and stir until you smell the garlic. Add the broth and wine and stir well. Bring the liquid to a soft boil, then reduce the heat and cook the liquid for at least 15 minutes. 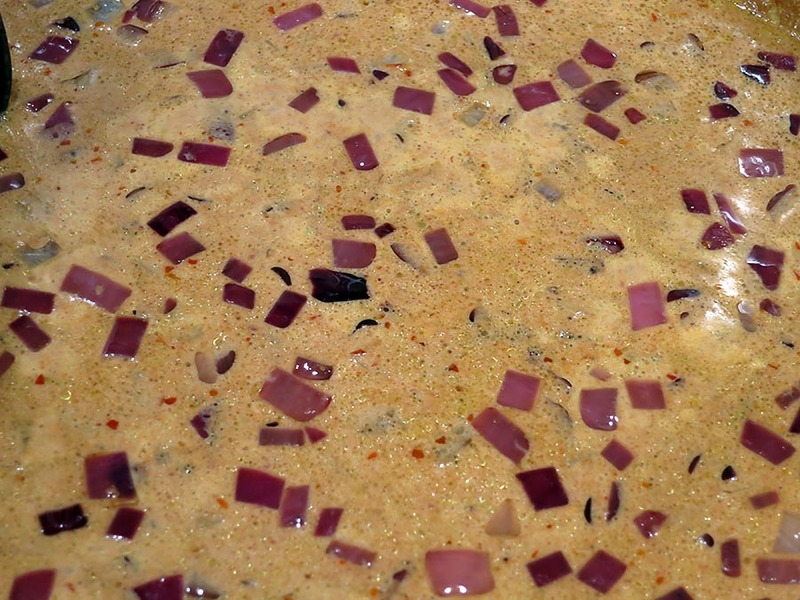 Place the browned ribs in the liquid – ideally they are all submerged in the liquid. Cover the pot, lower the heat, and simmer for about two hours, occasionally moving around the ribs in the liquid. After cooking, the sauce has reduced slightly, and the meat should be falling off of the ribs. Let everything cool slightly. Using tongs or a slotted spoon, place the ribs in a bowl, cover tightly, and refrigerate overnight. The next day, remove the Dutch oven from the refrigerator and remove the grease from the top of the sauce. There will be grease. Warm the sauce a little on the stove, and then, using a hand immersion blender, blend the sauce to thicken it. If it’s still too thin, reduce for 30 minutes or so. Then blend in the paprika creme and tomato paste, and taste for saltiness. Remove the rib meat from the bones, and place the meat in the sauce. Heat gently and slowly. When the meat has heated through, serve the ribs with spinach risotto or your desired side dish(es). For a bit less traditional dish of short ribs, add cumin to the spices and use a generous amount of ancho chile paste, and serve these short ribs over cheddar grits. Or, add hoisin sauce and chili paste for a Chinese-inspired dish served with cellophane noodles or grilled vegetables! Leftover short ribs are wonderful in quesadillas and sandwiches, so get creative with this luxurious meat! 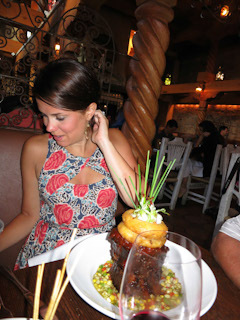 As you can see, the short rib meat is tender, and smothered in the rich sauce. A perfect meal for a winter day. For the accompanying risotto, I simply added chopped fresh spinach towards the end of the cooking time, before the grated Parmesan. I also used some white pepper, which is optional. 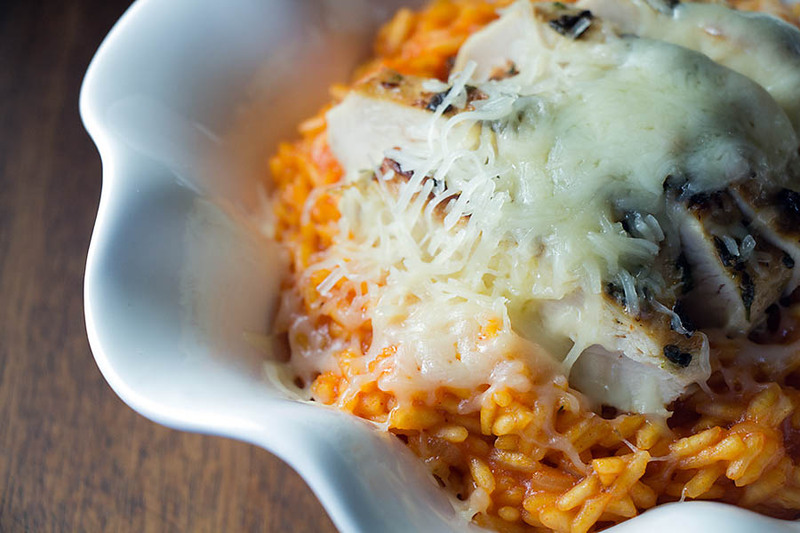 If you don’t know how to make risotto, refer to Paprika Risotto for directions. I have mentioned before that I am a food snob, but I’m actually much better than I used to be. Believe it or not, there was a time when I made everything single thing from scratch. I did not believe in buying prepared herb or spice mixtures, pastes, marinades, sauces, and so forth. I still don’t buy marinades or sauces at all, because that’s just silly. However, I have relaxed my ways in the other categories. To defend myself for a second, why would anyone purchase Italian Herbs when you can just use individual Italian herbs? Why would anyone use a curry powder or garam masala when you can easily own all of the individual components? 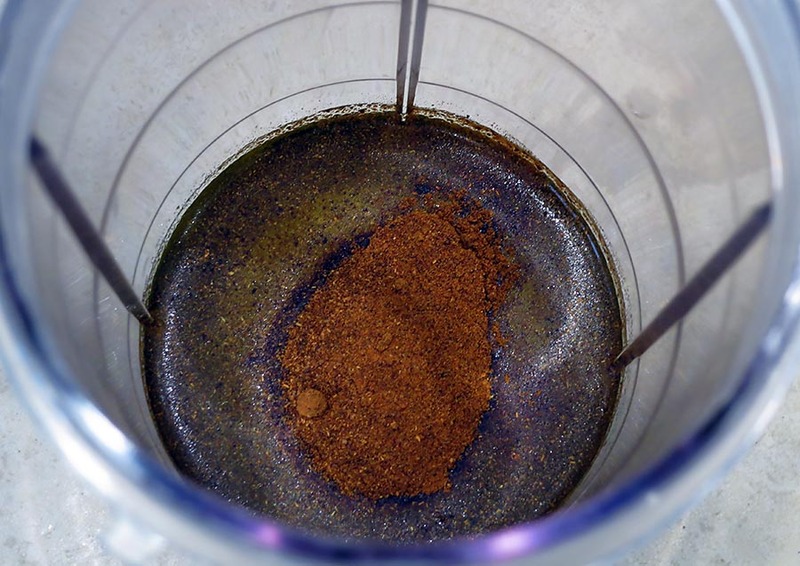 Why would you purchase Schezuan pepper salt when you can make it so easily? But we live and learn. And the good thing about aging is relaxing a bit. So I now actually own Italian herbs, a sweet curry powder, Old Bay, a barbecue 3000, a garlic pepper, a smoky salt mixture, a Bavarian spice mixture, a lemon pepper, chili powder, and many more blends, thanks to Penzey’s, mostly, that I never would have dreamed would be in my spice cabinets. And I’m okay with it! And so I’ve also been a purist when it came to pestos and pastes that can be so easily made in a food processor or blender, with no chemicals or preservatives required! Fortunately, I’ve relaxed in this area as well, and have really come across some delightful products. One was gifted to me by my Hungarian girlfriend. It’s called Paprika Creme. I could smother this stuff on everything, including myself. In fact, I used it in a paprika risotto on the blog and it was fabulous. I’ve smothered it on chicken, added it to soups and stews, and also used it to season polenta/grits. It’s quite versatile! 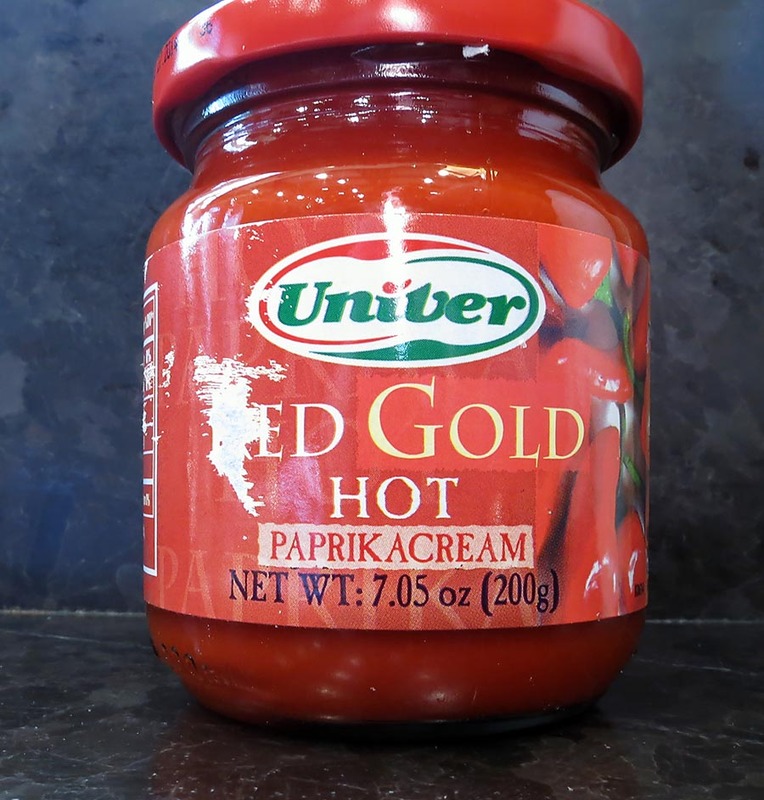 It typically comes in a jar, produced by Univer, but it also comes in a tube. And so, tonight I’m smothering a pork tenderloin with this beautiful, aromatic paprika creme for dinner. Place a little oil in the bottom of the baking dish. Add the pork tenderloin and roll it in the oil a bit. Pork tenderloins have a smaller end, so I just always tuck that end underneath. Then the tenderloin is more uniform in thickness. Then, spoon the paprika creme generously on the top of the tenderloin. Smooth the top. I also added a few pieces of purple onion just for fun. Place the baking dish in the preheated oven. If you are worried about being distracted and overcooking the tenderloin, take advantage of an oven probe if you have one. This little guy has become my best friend in the kitchen, because I’m often distracted. Cook the pork until the internal temperature reaches 155 degrees. Or more if you’re one of those people who doesn’t like pink pork. Then remove the tenderloin to a cutting board to rest. The reason I don’t use a higher temperature with the paprika creme is that I don’t want it to burn. You can see how it looks almost the same as before cooking. Slice the tenderloin and serve immediately. I served the paprika-smothered tenderloin with steamed Brussels sprouts and some of the onions, which I let brown a little longer in the oven. If you love the flavor of roasted Hungarian red bell peppers, you will love this dish. I encourage you to try this product. One word of warning, however, the paste stains everything. 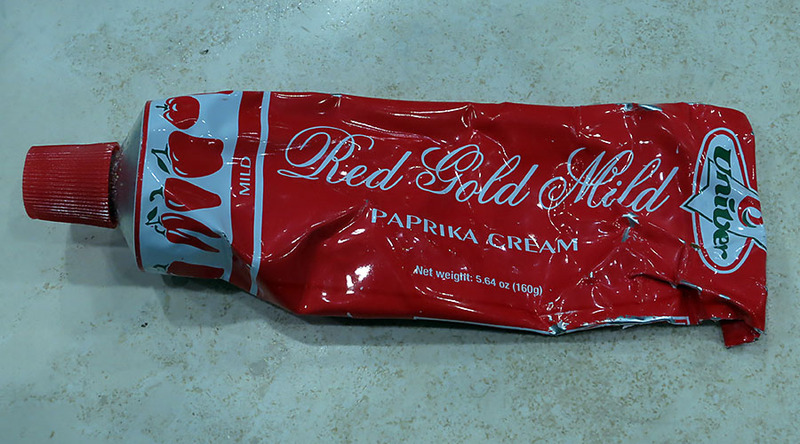 note: There are spicy and mild varieties of paprika creme, and they’re both wonderful. Risotto is one of my favorite dishes to make because, like polenta, it can be made so many different ways depending what you put into it. 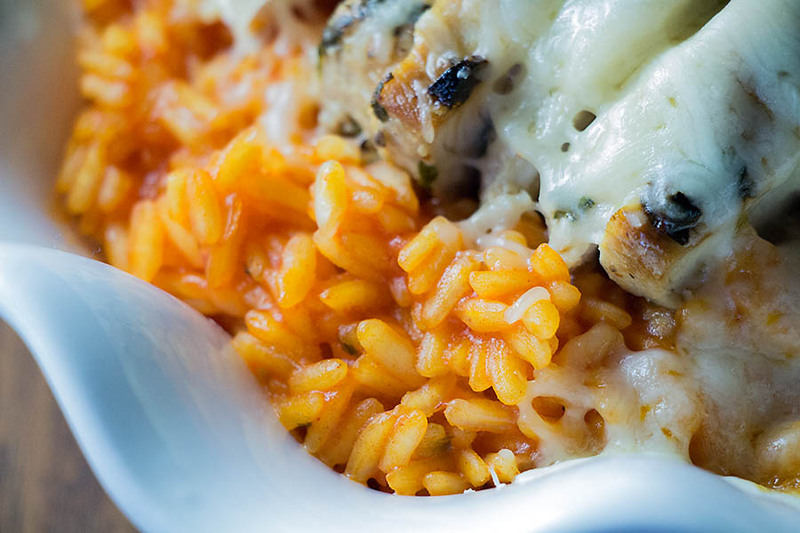 Basically, it’s a rice dish, but made with a special starchy rice that creates a creaminess when cooked the proper way. Today I wanted to make a risotto using a favorite ingredient of mine called paprika cream. I learned about it from a Hungarian friend and I’m addicted to it. And yes, it is a short cut, but it’s a fabulous one. This is a high-quality product that is extremely versatile. It’s available in a jar made by Univer, but I’ve also used a brand that comes in a tube. Sure, you can roast your own red Hungarian peppers, peel them, and purée them, but why not use this pre-made product? 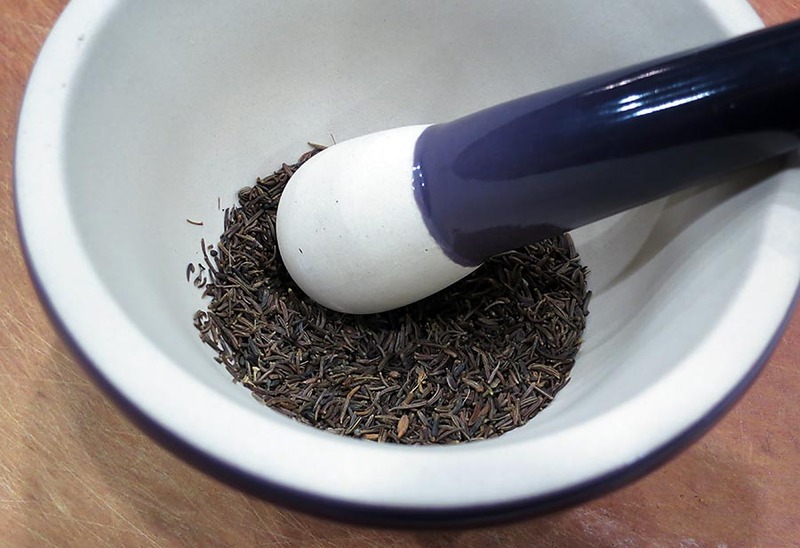 Especially because you can use a teaspoon, a tablespoon, or much more, depending on what you’re making. 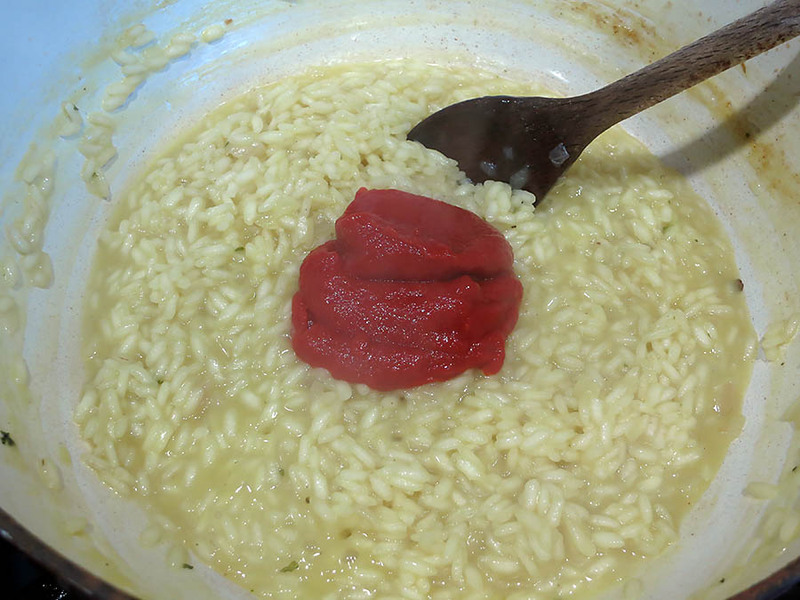 Today I’m making risotto with the paprika creme which will provide the flavor. The flavor is bigger and better by using this product than simply using a sweet or spicy Hungarian ground paprika. 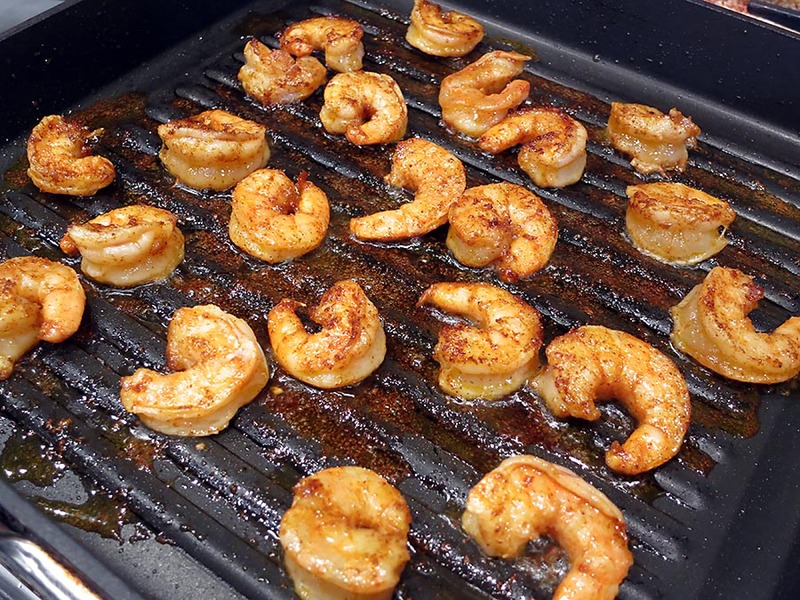 You can serve grilled shrimp or scallops with it or just about any favorite protein. 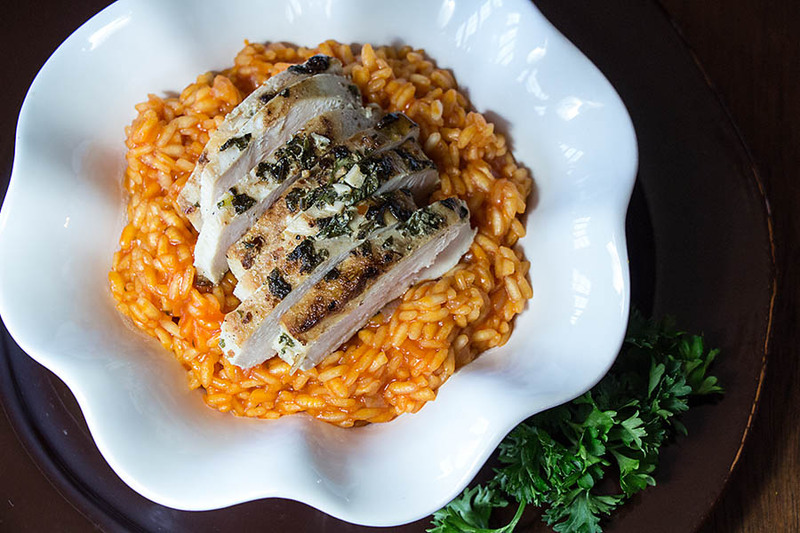 My husband prefers a meat-heavy meal, so for him the risotto will be more like a side dish, along with pork tenderloin. 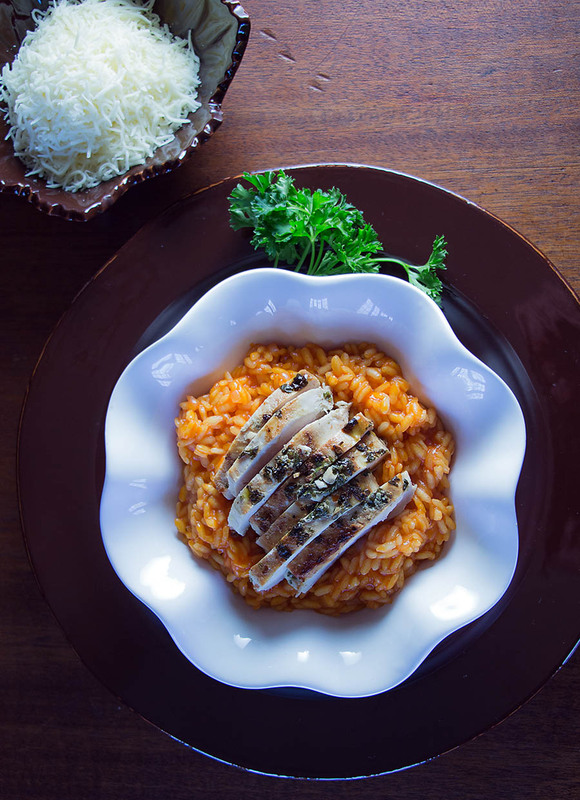 If you need a tutorial on making risotto, I have posted on Dried Mushroom Risotto, a Zucchini Risotto, and a Thai-Inspired Risotto, all of which have more details about the risotto-making process. Don’t let anyone convince you that it’s difficult. I’ve even taught children how to make risotto! There is a little elbow grease involved, but it’s well worth it. 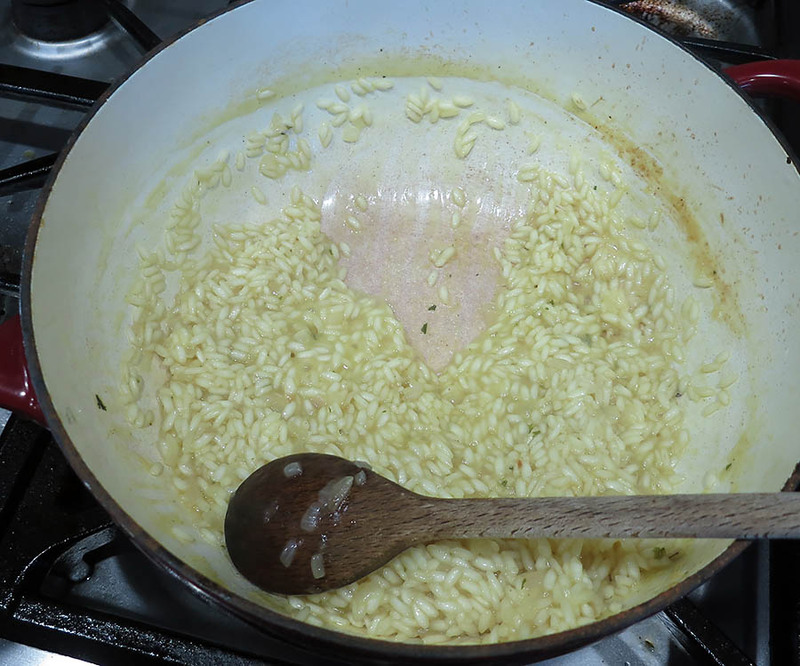 The only “rule” about preparing risotto is to have all of your ingredients ready by the stove because you cannot leave the kitchen while making risotto, and you don’t want to get distracted. The whole process takes up to 40 minutes. Heat the oil in a saucepan over medium heat. I actually used a little fat from the pan in which I roasted the pork tenderloins. Don’t ever throw that fat away!!! 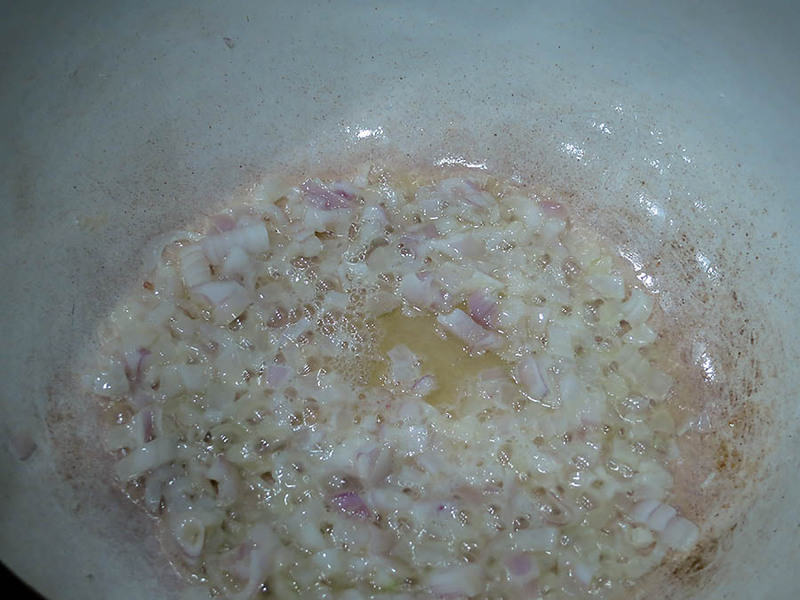 When the oil is hot, add the shallots and sauté for a few minutes. A little caramelization is good. Then stir in the rice, and sauté the rice, stirring occasionally, for about a minute. All of the rice grains should be shiny. Then pour in the wine. If the pan is at the right temperature, the wine should sizzle a little. If it just sits there, you need to turn up the heat. Stir the rice with the wine until the wine is almost all evaporated. Then begin adding chicken broth, about 1/4 – 1/3 cups at a time, stir, and continue doing this. When the liquid is almost completely incorporated, the rice should almost be sticking to the pan, but it won’t, cause you’re there at the stove adding a little more liquid. Before you’ve used all of the broth, stir in the paprika cream until it’s well incorporated. 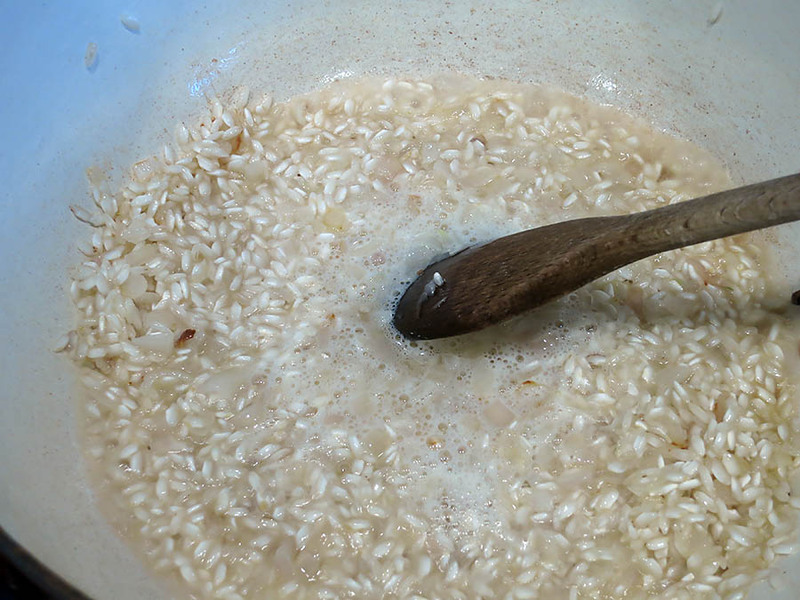 You’ll know when your risotto is about done because it will begin to stop absorbing the liquid, and should have a nice creamy consistency. 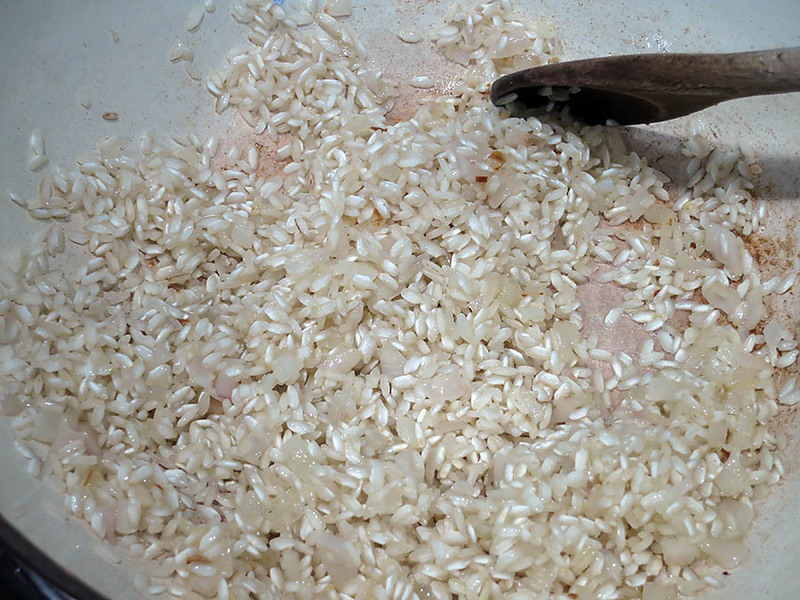 If the rice is still absorbing the broth, it’s okay to add a little more broth or even water as necessary, even if you’ve already used the 2 1/2 cups of broth. The rice has to cook (see note). You can stir in the Parmesan, but I prefer to sprinkle it on top of the risotto. 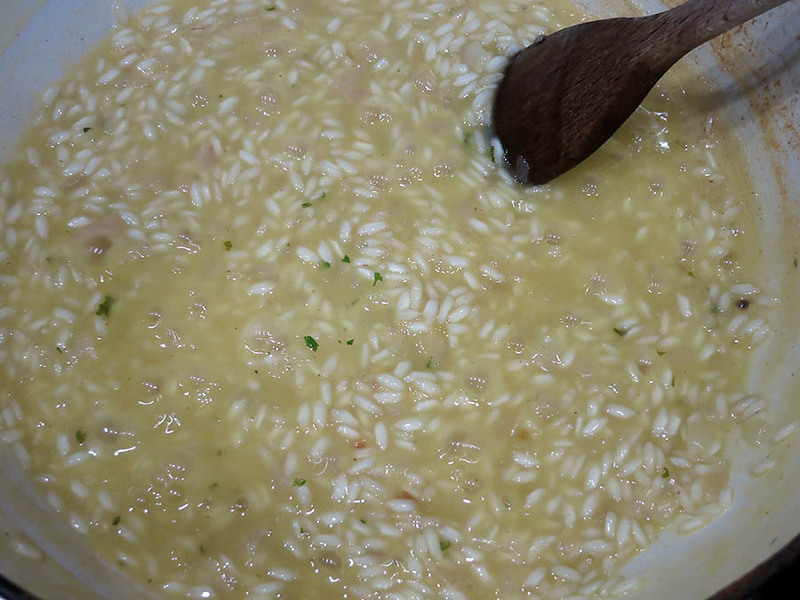 If you want a creamier risotto, you can substitute some of the broth with heavy cream. 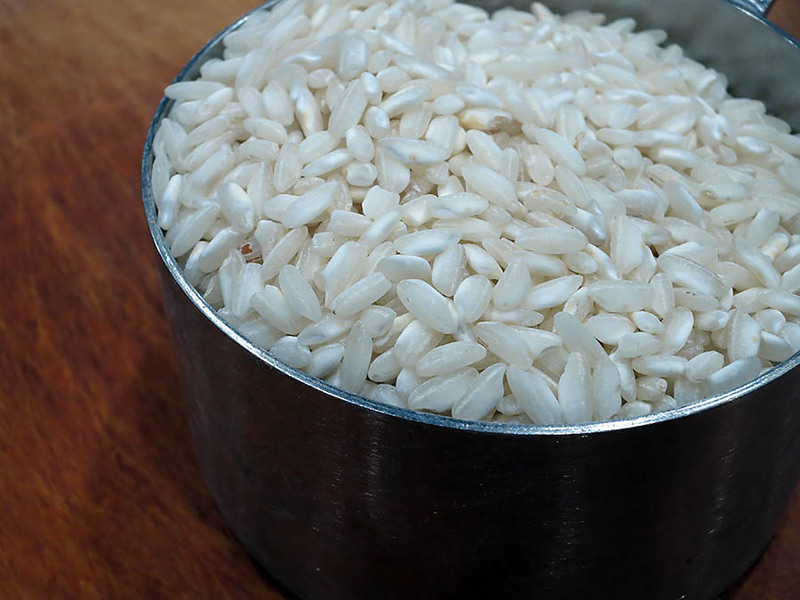 note: According to the Italians, the rice grains in risotto are cooked until they are al dente – which means there is just a little bit of bite to them. Personally, I don’t mind my risotto slightly beyond that point. Hopefully my Italian ancestors aren’t rolling over in their graves because of my preference! There is a restaurant in Park City, Utah, called Chimayo. We’ve been going to it since it opened in 1996. Although I haven’t lived in Park City since I left for college, my mother still lives there, so we visit often. 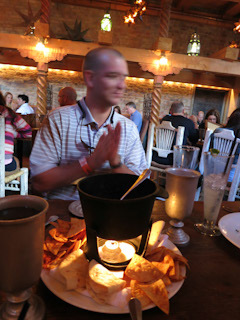 And I can’t think of a time when we didn’t dine at Chimayo. Not only is the food exquisite at Chimayo, known for its “distinctive” Southwestern cuisine, it’s a dining experience that exhilarates all of the senses. From the furniture to the dishes, everything is unique. They have a website, if you’re interested, or plan on visiting Park City. The restaurant remains highly rated even after all of these years, so it’s a real joy to dine there. 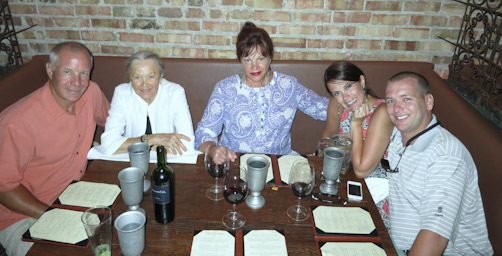 Here we all are in 2012, with my older daughter and husband to my left, and my beautiful mother on my right. The guy on the very left of the photo is my husband. Unfortunately, there’s not much to see in the photo beyond the pewter water glasses, because we’d either not ordered yet, or had already finished dinner. But trust me, everything is topnotch at this restaurant, including waiters who are willing to take photos of your family. I did fortunately have some other photos from this same dinner, starting with a Southwestern fondue on their menu called Queso Fundido, topped with roasted poblanos and chorizo, which was beautifully presented at the table. And my daughter’s entrée is a vertical stack of chipotle-glazed spare ribs. It was easier to eat than it looks! So why do I mention this restaurant, when most all of you will never get a chance to go? Simple. I created a pasta dish in their honor. They don’t know I did, but I did, calling it Pasta Chimayo. I wrote in a post a while back that my husband and I absolutely love Mexican and Southwestern cuisines. Mexican food, for me, is something that I must have recipes for, because it is a very involved and complex cuisine that I fully respect. It’s way more complex than you’d think, actually, if your take on Mexican food is enchiladas and burritos. But Southwestern cuisine, I feel, is something that really can be made up. Because it’s a relatively new cuisine, with no rules. I posted on inspired Southwestern cuisine a while back, and have been thinking of ways to help you change up recipes to make them Southwestern. As I mentioned, anything can be made Southwestern style, as long as you use the right ingredients. So case in point, I’m making a pasta recipe today, which one might expect to be Italian, but instead I’ve made it with a Southwestern twist. 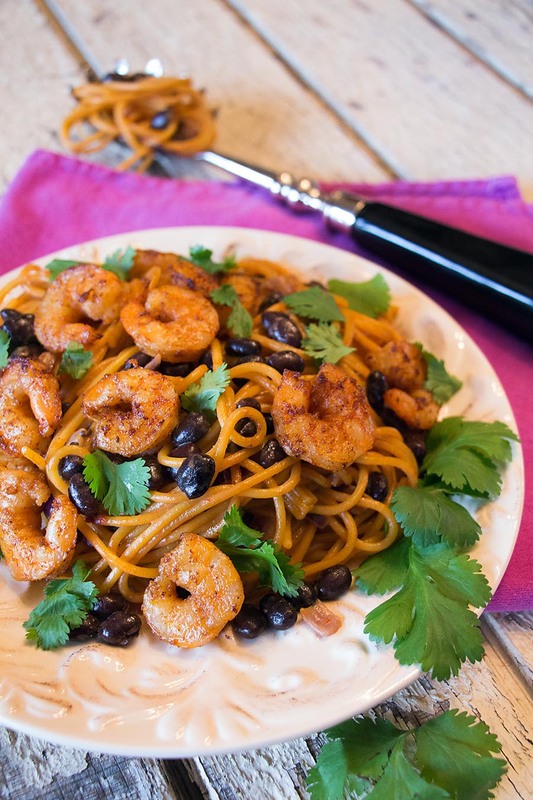 It’s an ancho-spiced pasta with black beans and spicy shrimp. I hope you like it! 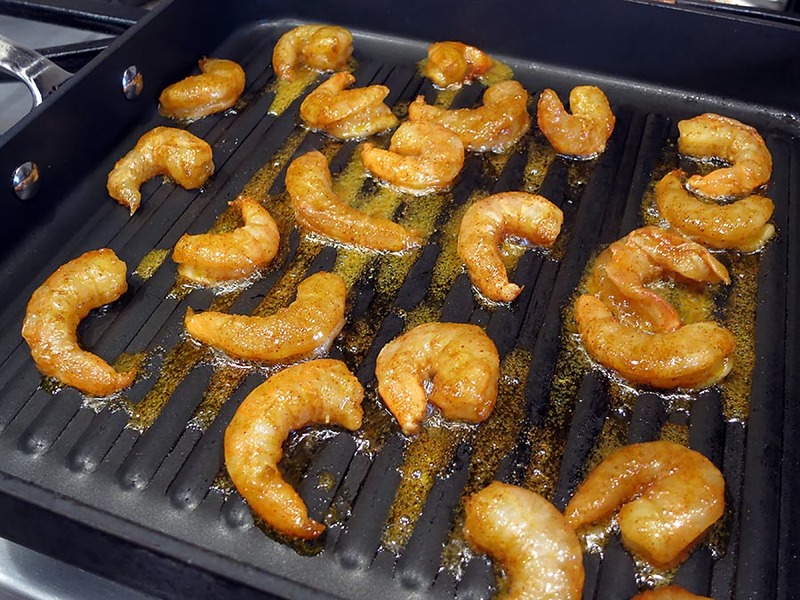 Rinse the shrimp with cool water, and let them drip dry on paper towels. Meanwhile, place the olive oil, garlic, paprika, chipotle powder and salt in a small blender jar and blend until smooth. 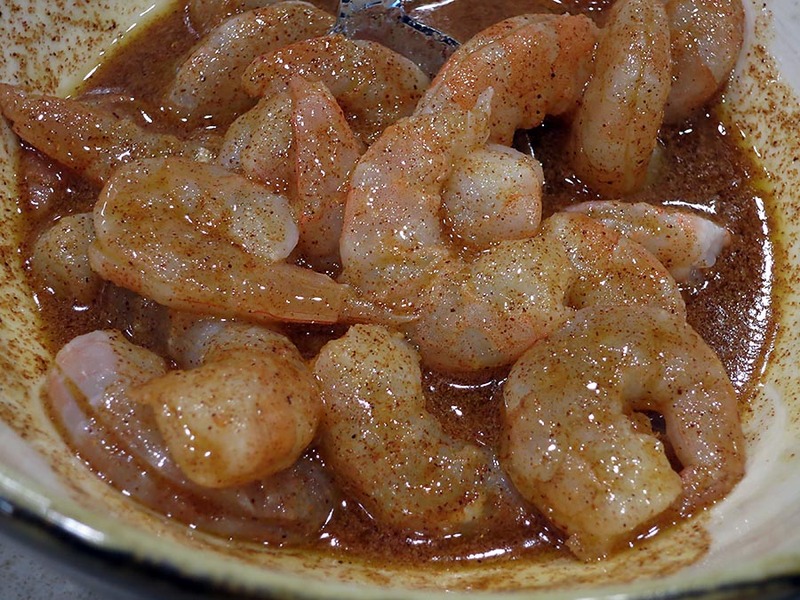 In a medium bowl, toss the raw shrimp in the marinade. Cover and marinate the shrimp for 4-6 hours in the refrigerator. Overnight would be good as well. The only times I don’t marinate shrimp very long is when there’s an acid in the marinade, like citrus juice. 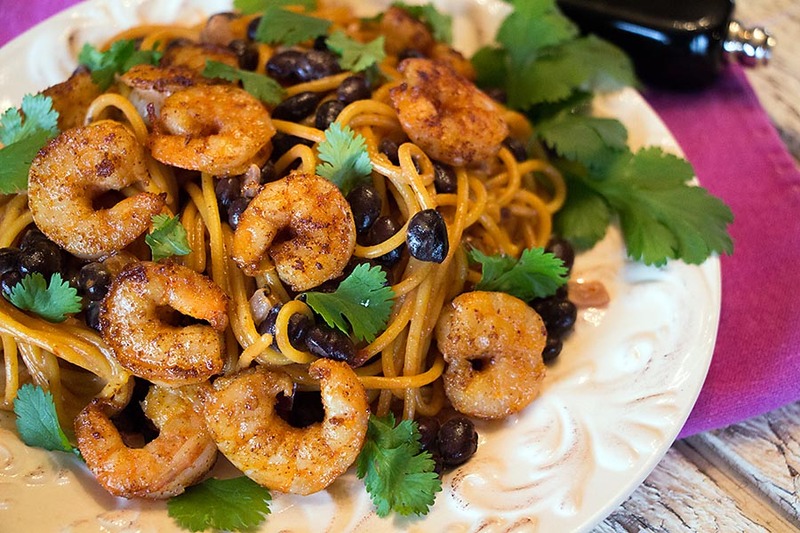 About one hour before the final preparations, remove the shrimp from the refrigerator and let them warm up slightly. Then place them in a colander to drain. Don’t rinse. 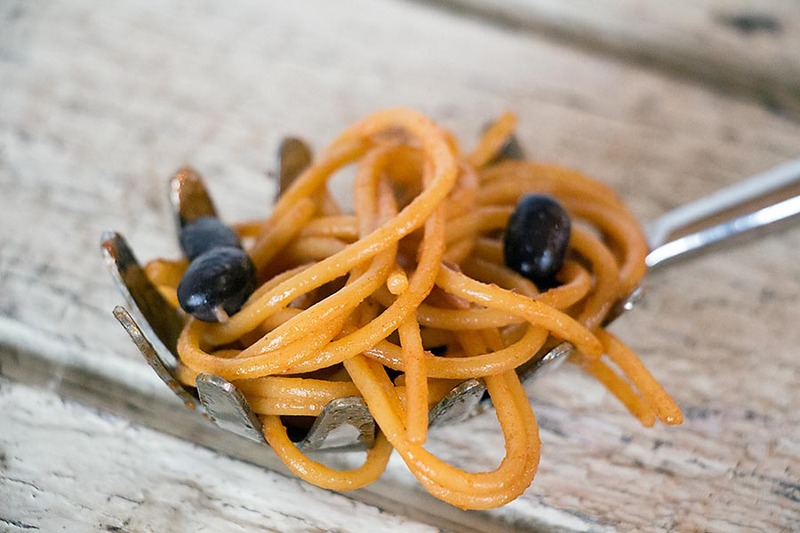 Meanwhile, heat the olive oil in a large pot over medium heat – large enough to hold the pasta. Add the onion and sauté it for 4-5 minutes. You want it soft because there won’t be any more cooking time. 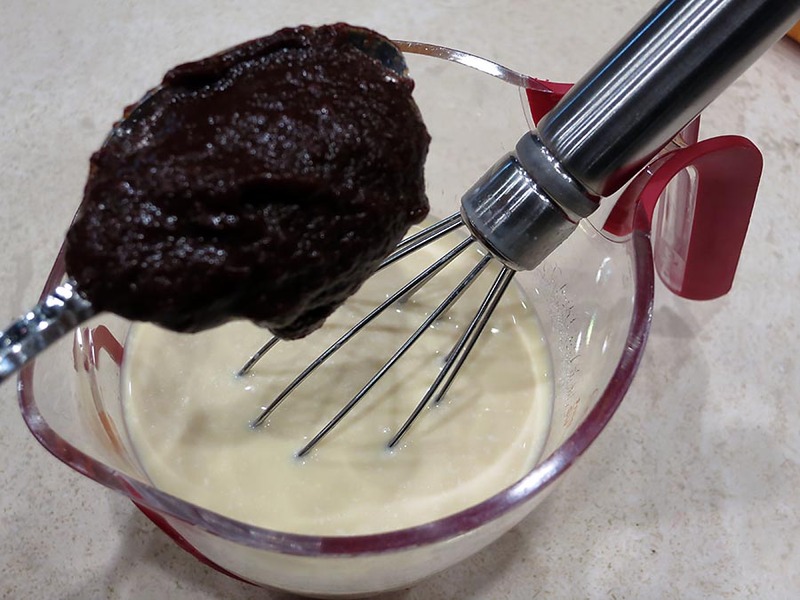 While it’s cooking, add the ancho chile paste to the goat’s milk and whisk together. 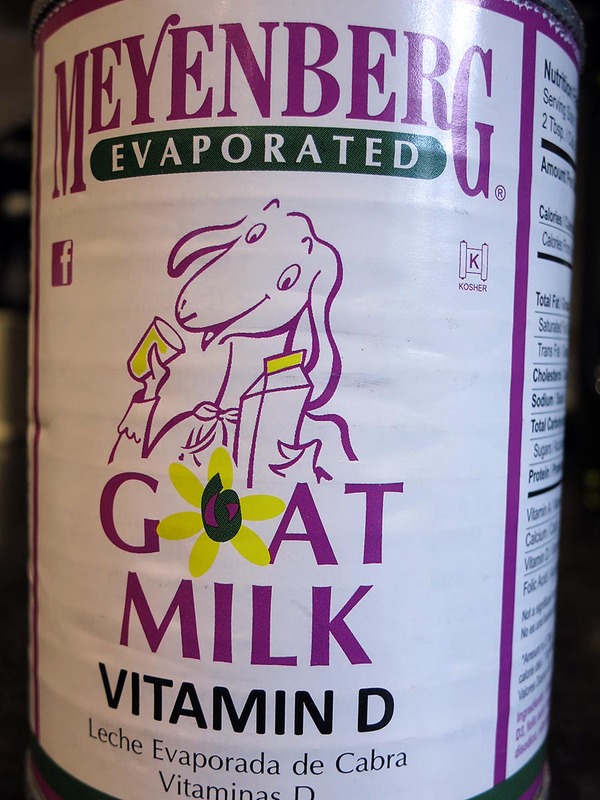 I use this kind of goat’s milk in a can, because it’s the only kind I can get. If you don’t want to use goat’s milk, or can’t get it, simply use a cream substitute. But I’d recommend adding some crumbled goat cheese to the pasta! When the onion is ready, add the goat’s milk mixture and stir well. 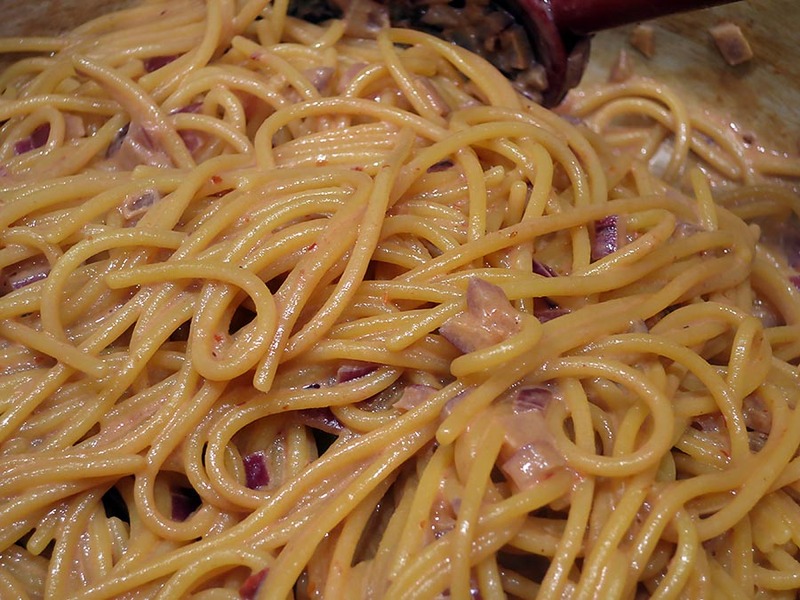 Add the cooked pasta to the pot and stir gently until all of the pasta strands are coated with the creamy mixture. 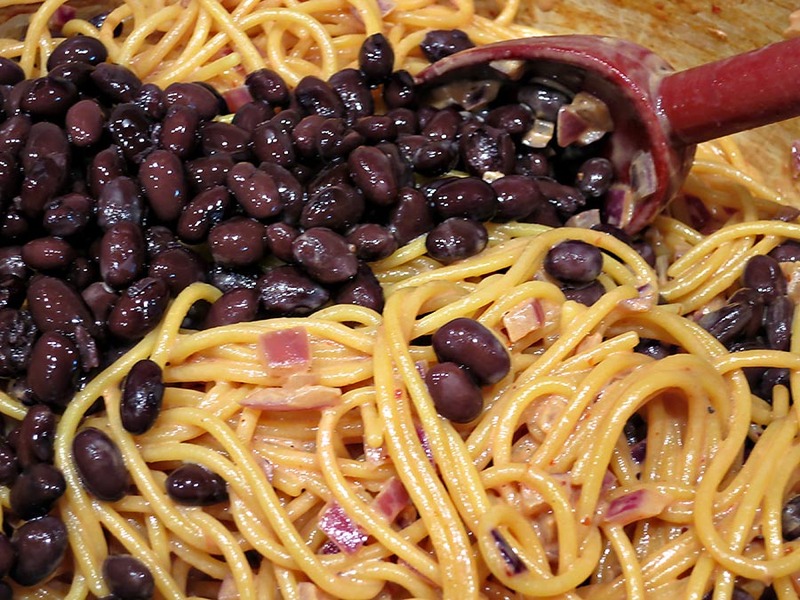 Add the drained beans, and heat the pasta through. Remove the pot of pasta from the heat and set it aside. But toss the pasta occasionally to help it to absorb all of the goat’s milk. Place a grill on the stove over high heat. Add the shrimp. Don’t overcrowd them. And be diligent. They cook very fast. After less than a minute, turn them over quickly using tongs. They should be fully cooked after 30-45 seconds. Keep them warm while you give the pasta a turn in the goat’s milk, if there’s any remaining in the pot, and serve the pasta. 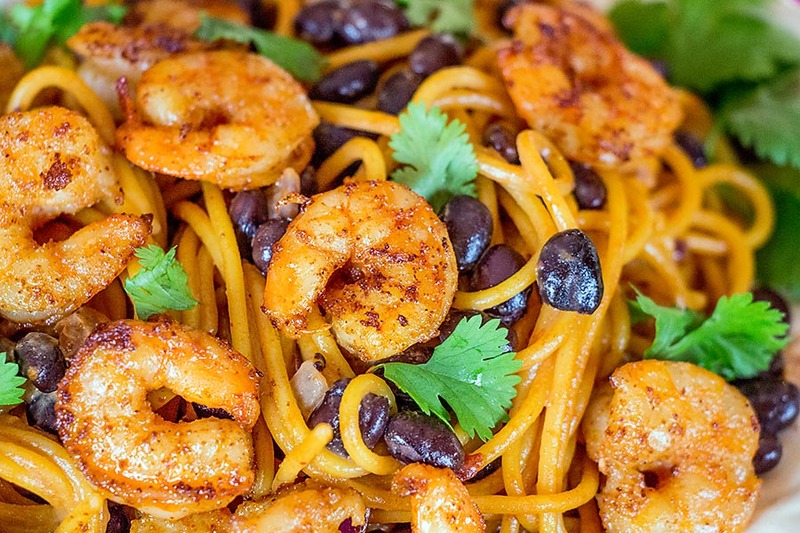 Add the grilled shrimp and sprinkle the pasta with some cilantro leaves. You can always add some crushed red pepper if you like things really spicy. I kept mine as is, which allowed the ancho chile pepper, the paprika, and the chipotle pepper to create the Southwestern flavor profile. 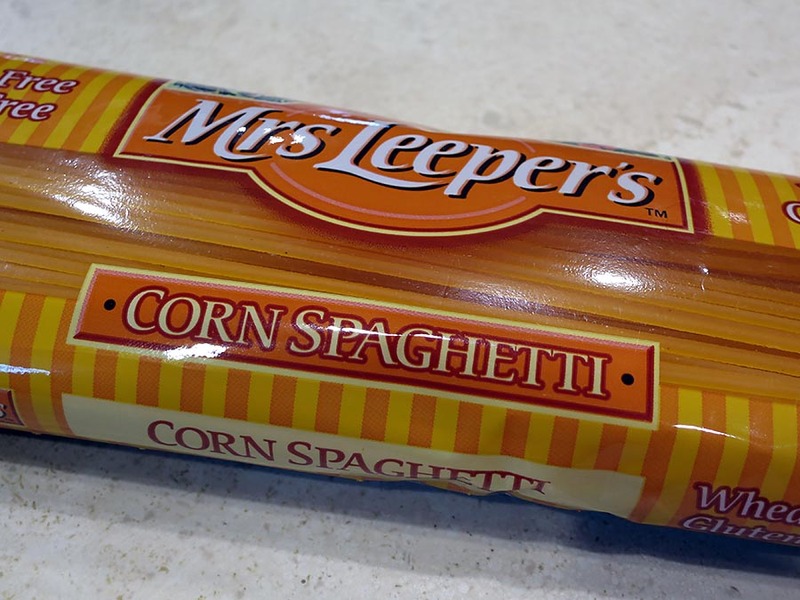 note: So many different ingredients could be used in this simple pasta, including red bell peppers, cherry tomatoes, and corn. And if you prefer, grilled chicken could be substituted for the shrimp. 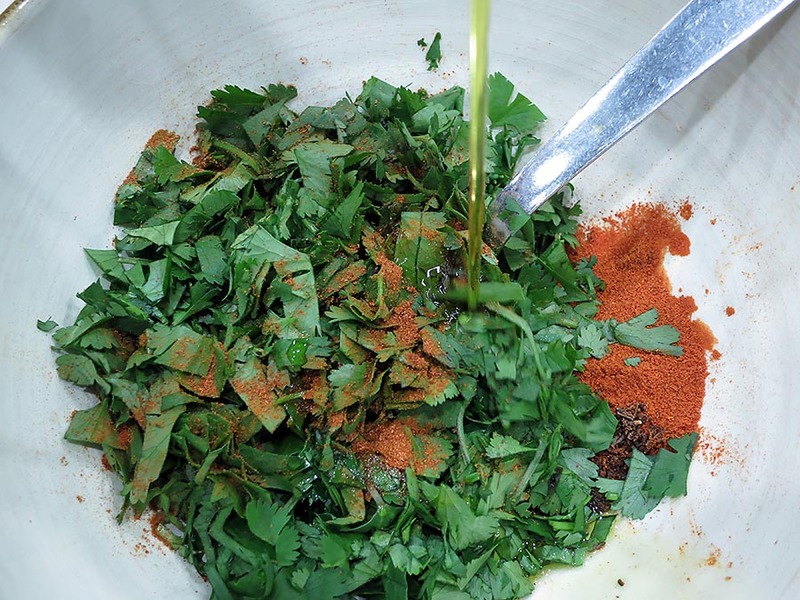 Arabic in origin, Charmoula is a wonderful and flavorful condiment for meat or vegetables. 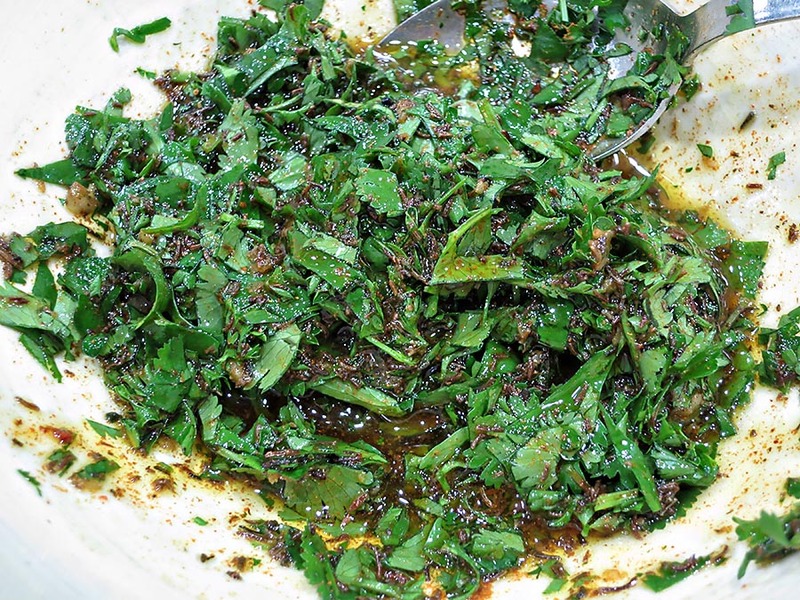 It’s slightly similar to Chimichurri, in that it combines garlic with parsley and cilantro. But that’s where the similarity ends. I’ve never seen charmoula in a jar, but I’m sure it doesn’t taste as good as home-made in any case. This recipe takes minutes to make, so there’s really no excuse to try the real stuff. There are probably many different recipes for charmoula, but this is the one I’ve seen the most, with cumin, garlic, cilantro and parsley as the major players. I’ve used charmoula with my home-made Italian sausages, pictured above, with beef and with chicken; I’ve yet to try it with lamb, but I’m sure it would be equally delicious. Maybe next time. 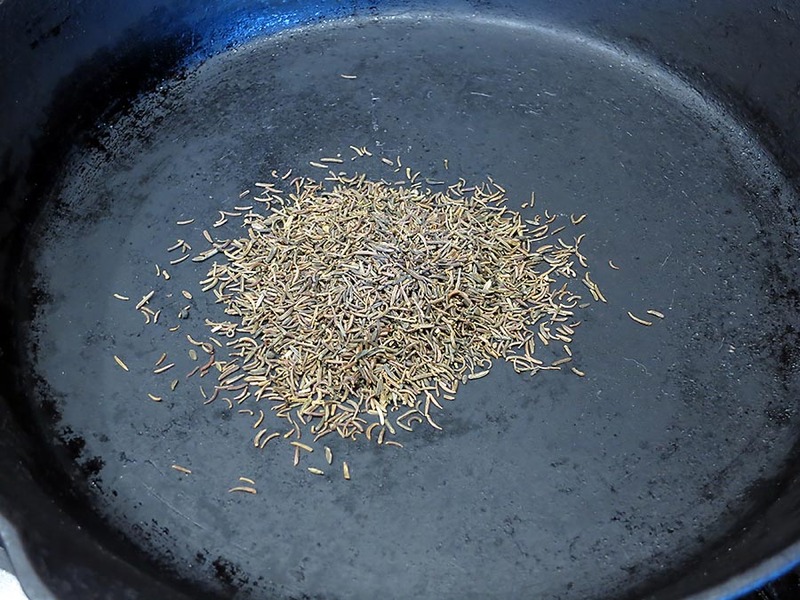 Toast the cumin seeds in a skillet. Or use your handy dandy seed toaster! 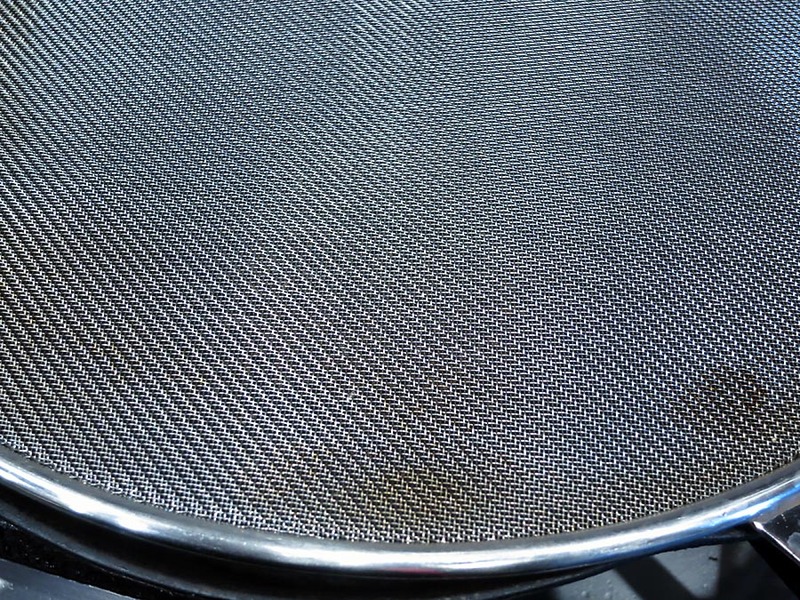 To prevent losing the seeds when they begin popping as they toast, use a platter screen over your skillet. 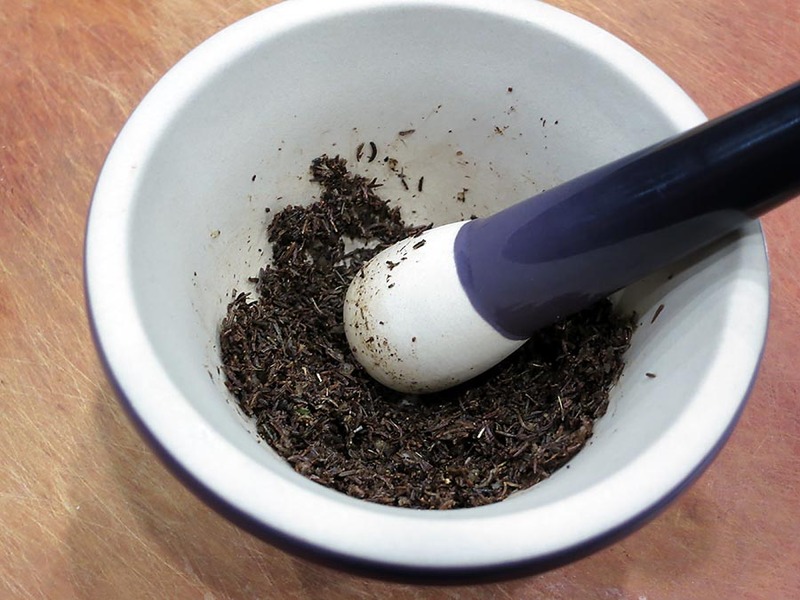 Place the toasted seeds in a small mortar and grind them up a little. Then add the garlic and grind until you’ve formed a paste. Place this paste in a medium-sized bowl. Add the lemon juice, paprika, salt, and cayenne. Then add the chopped cilantro and parsley. Stir well, then add the olive oil. If you prefer a thicker paste, don’t add as much olive oil; you can always add more later. To use the charmoula, I decided to take advantage of some Italian sausages I’d just made. 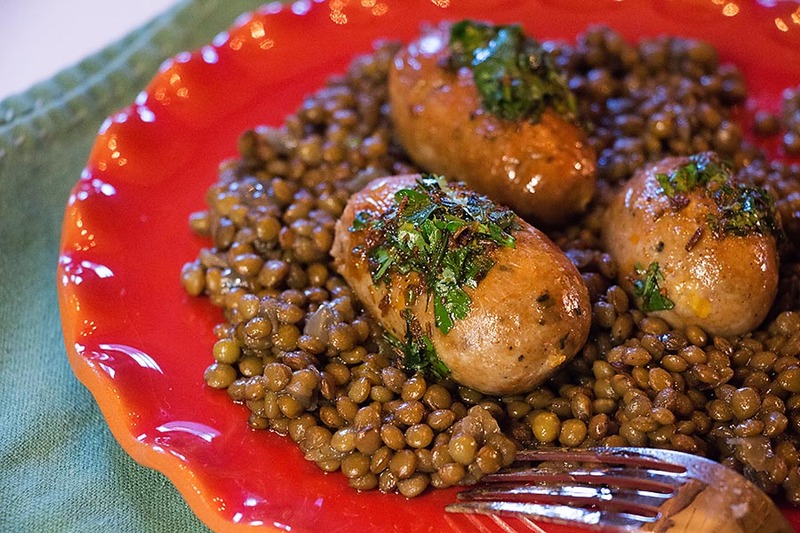 I cooked the sausages first and then poured the cumin-flavored freshness over the top. Now that I think of it, charmoula would also be good over grilled haloumi and vegetables!!! Something else to try!